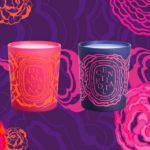 Diptyque candles are one of the best-known and most respected names in luxury candles worldwide. Made only from all natural fragrances and ingredients, Diptyque candles and products have been made the same way for hundreds of years. 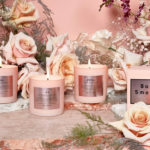 They are routinely featured in glossy magazines as one of the best candles to buy, and many celebrities count these candles as among their favorites. Diptyque candles are made from a blend of fragrance and special waxes, so that one candle can fill your room with scent in only 30 minutes. Made from a carefully-created 12-step process, Diptyque candles burn for over 60 hours and burn cleanly and evenly to the last drop. 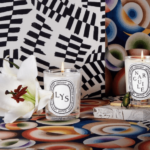 While Diptyque is best known for candles, the company also creates luxury room sprays in some of the same popular fragrances as their famous candles. If you are somewhere where candles are not allowed or if you have children and pets and worry about the safety of candles, Diptyque room sprays are a wonderful option that allow you to bring the luxury of Diptyque wherever you are. 1) The Diptyque Ambre (Amber) candle. This candle was originally a limited edition candle for the 2008 holidays. 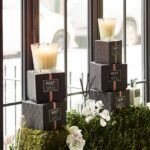 However, it was so overwhelmingly popular that it became a permanent part of the Diptyque collection. With notes of tonka bean, rockrose, and incense, this is a rich and spicy candle that is perfect for the holidays, for fall, and for anytime. It is not too sweet or too feminine, but is full of an exotic fragrance and sophistication. 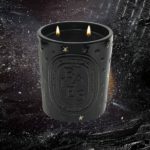 2) The Diptyque Cyprés candle. 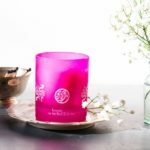 If you love the smell of the Mediterranean and want to dream of the beauty of that part of the world, this candle, which is reminiscent of Mediterranean cypress with notes of resin and honey, is perfect. It’s clean and fresh warm scents will make you feel as though you are on vacation. 3) The Diptyque Gardenia candle. 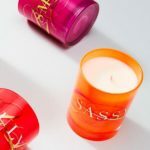 This very popular candle is a very popular scent in the collection. 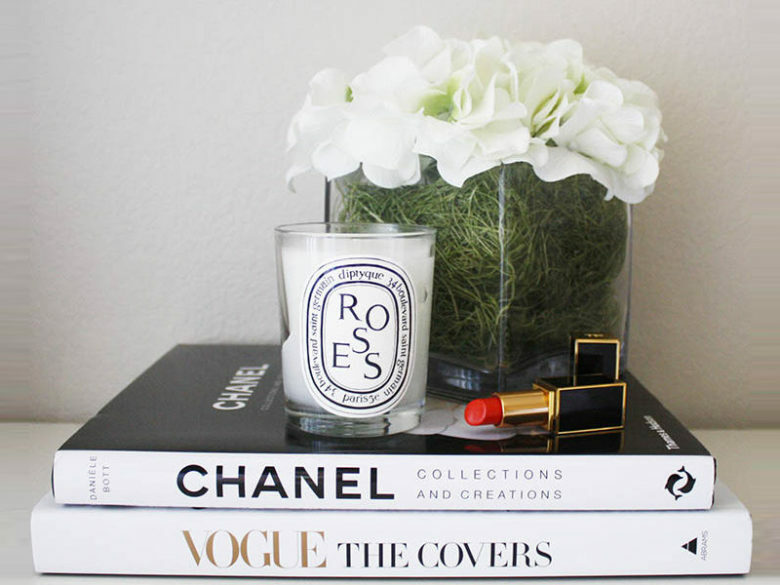 If you love the spicy and sweet fragrance of gardenias, you will love this candle. Lighting this candle is like burying your nose in a fresh bouquet of white flowers. This is a fresh, floral candle scent that is perfect for spring, summer, and any time of year. 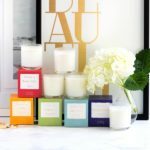 It also makes a wonderful candle for weddings, thanks to its sweet scent and classic white packaging.